After some research and having talked to alot of local business owners like yourself, I find that they still don’t understand the power of search engine visibility that will generate customers for them consistently. Today, most people turn to the Internet to locate LOCAL products and services. Long gone are the days when people picked up the Yellow Pages first to find what they need. Think about it… when was the last time you picked up yours? Most people these days don’t even know the Yelllow Pages exist anymore because they use the internet. The Internet is the first place people look when they need to find just about anything. It has truly become an integral part of our daily lives. 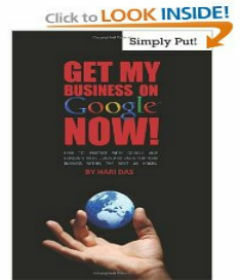 • Almost 250 million searches for products and businesses are performed per day on Google alone. • DM News reported that 35% of all Internet searches are local. • comScore reported that 90% of local commercial searches result in offline bricks and mortar purchases. • Online marketing is expected to be 15% of all media advertisement spending in 2013. It’s currently approximately 7.6%. With billions of LOCAL searches being performed online each month, the Internet has officially surpassed the printed Yellow Pages book, newspapers, and other traditional marketing methods when it comes to overall effectiveness. Online marketing has even gone beyond the computer, mobile phone Internet usage is also growing at astonishing rates, which we will discuss in more detail later. The global connection created by the Internet has changed the way the world communicates, gathers information, and markets its products and services. While the technology is fascinating, this global connection has also created problems for some local business owners. Would you agree that whenever you need information or need to find a product or service, your first thought is to go online? The Internet is a new age marketing “must have” for all businesses. If a business wants to continue to grow and get new customers, creating an online presence is no longer an option – it’s a necessity. The Internet provides several powerful avenues to help businesses continue to get more leads, more customers, and more profits. This is great news, but many businesses are being left in the wind when it comes to online marketing. Their competitors are implementing online strategies that allow them to dominate their local market. If you are not establishing a strong online presence, your chance of connecting with local customers is greatly reduced. Without it, you’re just letting money slip right through your fingertips. The purpose of this SEO Singapore series is to help you learn more about the different online marketing avenues that will allow you to connect with local prospects consistently. You will learn the different methods of online marketing that are available to you and why they’re effective. In addition, you will learn more about how online marketing works overall so that you can have a better understanding of how it can benefit your business. There’s nothing more frustrating than trying to decide which online marketing strategies to use when you don’t even understand them. Some business owners avoid Internet marketing simply because they don’t understand it. Others don’t use it because they don’t think it’s effective. Others avoid it because they’ve been burned before by their “web guy.” Others don’t think it’s worth the money. However, none of these reasons are good enough to miss out on the opportunities that online marketing can bring to your business. In order to really connect with your local prospects and customers, there are several online marketing techniques you can use to generate a constant stream of new business. Connecting with your local customer-base in crucial today as overall consumer spending has taken a major decline over the past few years. Therefore, business owners are scrambling for all of the business they can get. What better way to get new customers than to go where they spend a majority of their time? A website is just one small step in the world of online marketing. Yes, having a website is an important step every business should eventually take to get an online presence. But are you driving traffic to your website? If not, what good is a beautiful website if it’s lost in the dessert where no one can see it? So in order to really connect with local consumers, there are several things you should consider. Let’s explore Search Engine Visibility in particular… in part 2 of our SEO Singapore series next week. Yes Hari, I’m Ready To Boost Up My ROI! It may be tempting to hike the price up to make more money, but people will probably go somewhere cheaper before buying from you. © 2015 Cash Cow Consulting.